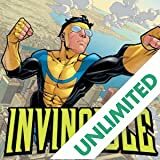 Collects INVINCIBLE #0, and #20-24! After the hectic events of INVINCIBLE, VOL. 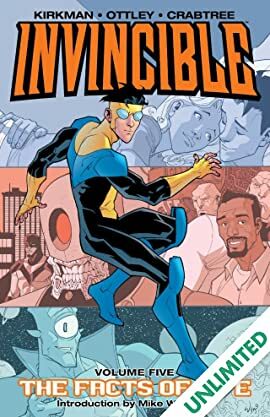 5: HEAD OF THE CLASS, Mark - aka Invincible - while continuing to deal with the loss of his father, finds himself face to face with piles of villains and the worst conflict of all: teenage love! Picking up right where the first ATOM EVE miniseries left off! See the secret origin of Rex Splode! See what shaped him into the man who tragically sacrificed himself in the Invincible War. Witness his first meeting with Atom Eve and learn their stunning secret! In the aftermath of INVINCIBLE 100 and "The Death of Everyone," Dinosaurus has left his mark on the world. 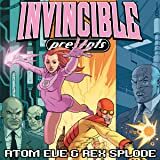 Can heroes from across the universe - Invincible, the Guardians of the Globe, Tech Jacket, the Astounding Wolf-Man and more - contain the damage done? 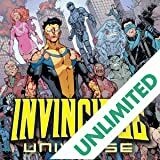 Or are the end times of the Invincible Universe ahead? 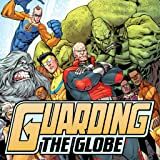 As the VILTRUMITE WAR rages on within the pages of INVINCIBLE, the ranks of the Guardians of the Globe are suddenly depleted. 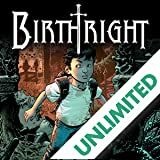 The world is in danger, and the team is in search of new blood. It's the biggest recruitment drive since Omni-Man slaughtered the original members. But will the new Guardians of the Globe be ready in time to stop The Order? This series is a can't-miss action extravaganza!